Tech lovers, this one is for you! 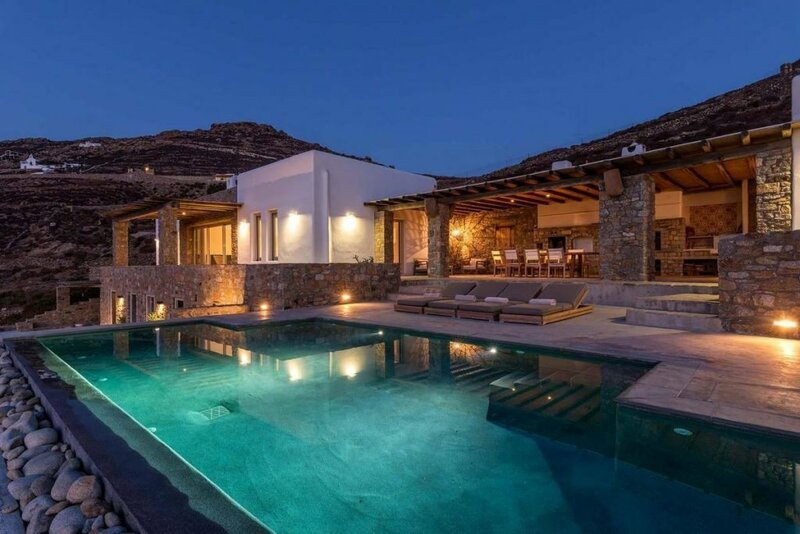 Welcome to Vallea, the private luxury Mykonos villa in Ftelia. Fully automated Smart Home technology throughout the property- wow! Its location in Ftelia, 7.1 km from the buzz of Mykonos town and 1.5 km to the beach is the perfect place to stretch your legs in peace by the pool. All you need is a group of 13 and a good mood! Enjoy! The interior design is superb! Minimalism and modern furniture draped in soft fab- rics and simple touches that “elevate” each room; from the stark yet cozy kitchen design, to the sophisticated study corner, to the boutique hotel-like en suite bed- rooms. Light, airy and white, the living room almost seems to be floating on the surrounding landscape. But the true star feature of Villa Vallea is its outdoor space. Gorgeous swimming pool and outdoor jacuzzi complete your sun-lounging and aqua healing needs, while a BBQ and separate dining area invite you to host or simply enjoy unforgettable dinners with friends or loved ones. PS. We know that you did not come on holidays to cook! You can rely on our concierge who can arrange anything you ask for; from our chef for delicious dinners to a yacht party! You can simply drink cocktails in the pool bar and let her work her magic! A Gym (70 m2) overlooking Ftelia Beach! Its Glass-wall opens to connect space with outdoor pergola and Massage area. A marble Hammam (50m2) plus outdoor heated spa pool! They can be used only under therapist supervision.